With our comprehensive home selling and buying solutions, we consistently deliver integrity, professionalism, innovation and the highest standard of work. As member of the Employee Network, you and your family enjoy a 10% credit on what we earn when buying or selling a home. Additional client incentives may apply – call me today. Experience and dedication matters! I have 14 Years of experience working with and assisting buyers and sellers resulting in repeat business and referrals. By utilizing dynamic electronic marketing and social media skills, properties sell more quickly and buyers have a competitive advantage. Call or text today. MUST ask for The Employee Network discount and present membership ID to receive your discount offer. Considering buying a home? Receive the choice of a Home Warranty up to $500 or $500 towards closing costs with the purchase of a new home at close of escrow! Considering selling a home? 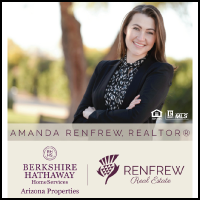 Receive a 1% discount on listing your home for sale! Contact Me Today! Visit www.LauraKulakowski.com for additional information and mention employee network to receive your discount offer.